Originally published in the May/June issue of Newport Life Magazine. 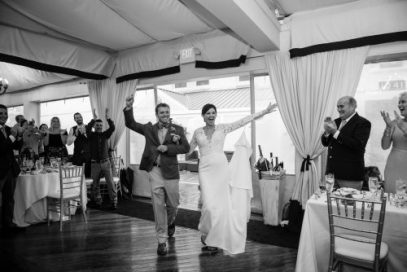 The days leading up to your wedding can be so tumultuous it can feel like a hurricane. For two Aquidneck Island natives, it was more like four hurricanes. 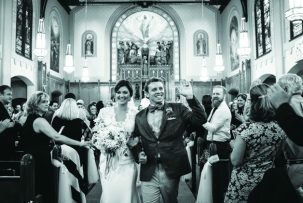 Rachael Hurd and Addison Caproni, current residents of St. Thomas, were unfortunately caught in the middle of several major storms as their wedding day approached. Storms Irma and Maria struck just before their travel arrangements, but luckily Rachael caught the last flight out of Puerto Rico. 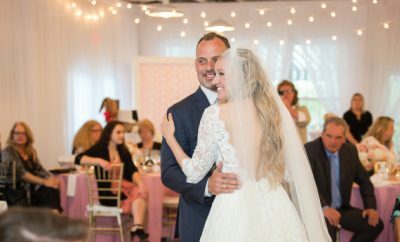 She arrived in Newport when Hurricane Jose was in town and Addison almost missed the wedding entirely due to the devastation in St. Thomas. The actual day of the wedding coincided with the tail end of tropical storm, Phillipe. 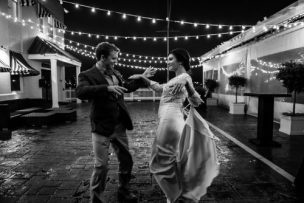 And yet, despite it all they were able to celebrate their evening complete with a dance in the rain at the end of the night. This couple knows how to party, and they made sure their big day reflected that. Guests were greeted with a sign that said, “Take a shot, and your seat!” and were welcomed with a shot of Fireball whiskey. 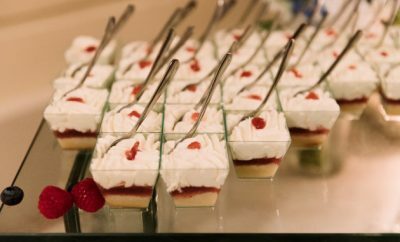 Guests enjoyed a two-tier vanilla cake with strawberry filling, made more significant with its topper belonging to the bride’s grandparents who were married 69 years prior on the same date. 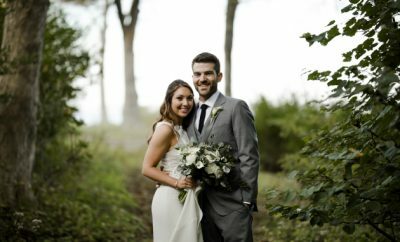 Rachael and Addison settled into married life back in St. Thomas where Addison is the VP of YES Waste Management and Rachael works in management at Charter Caribe. They plan to enjoy an Italian honeymoon in October.